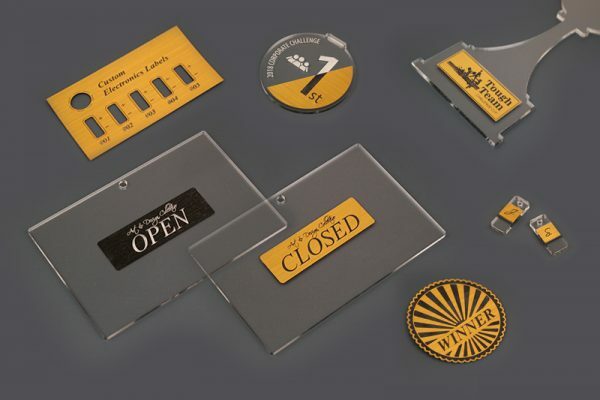 Historically, laser cutting materials have been hard plastics, wood or metal along with leather and felt. True fabric hasn’t been an option—until now. With the introduction of black, orange and grey ripstop nylon to the USA materials catalog lineup, there’s a whole new world of product possibilities that you can either sell for profit or use to build your brand. 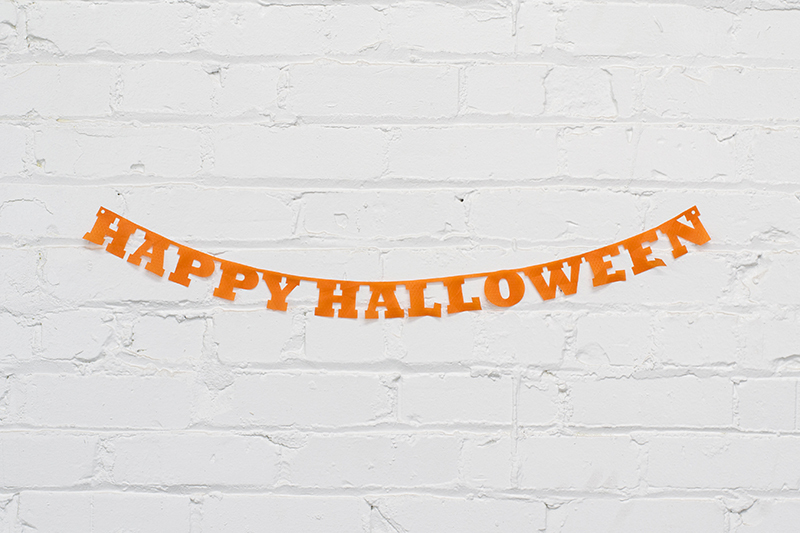 With Halloween just around the corner, why not make some banners to celebrate? And since the ripstop nylon fabric won’t tear, the banners will last for years to come—a great selling point if you’re making a product to sell. 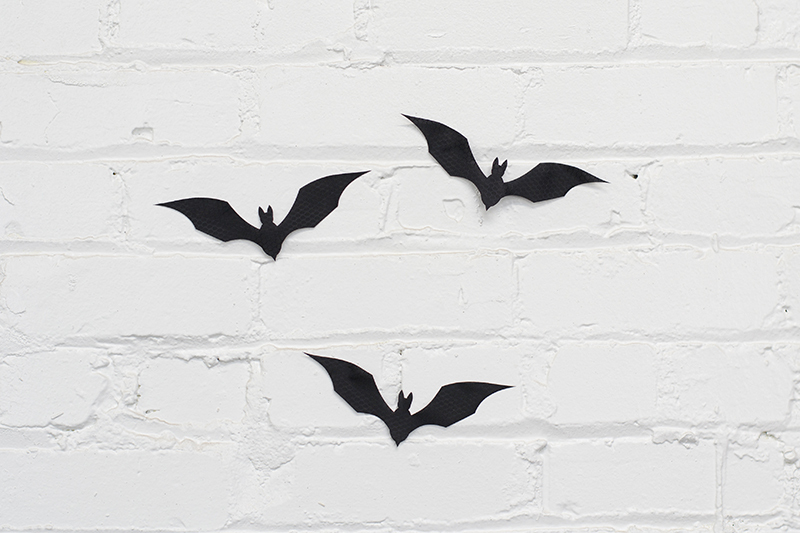 Since the precision of the laser lends itself to cutting fun shapes, making these Halloween bats was a naturally spooktacular choice. 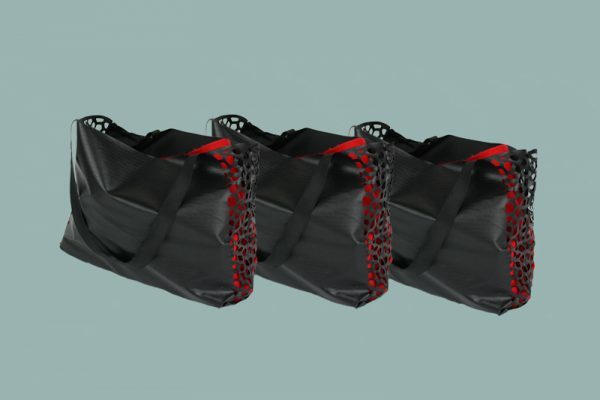 With more than 60 countries implementing bans on single-use plastic bags, there’s so much opportunity to create fashion-forward reusable bags with one-of-a-kind style to either sell for profit or use to build your brand. 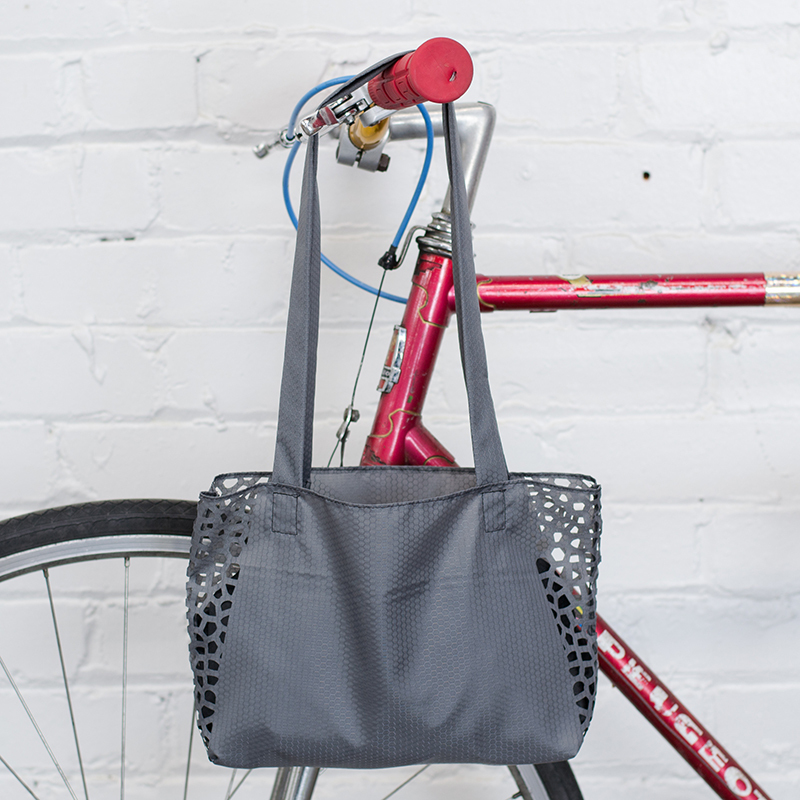 This tote incorporates a coral-inspired design in the side panels, but you could create any kind of geometric or repeating pattern—even a logo-based configuration if you’re making promotional products. Here’s a color combo any Oklahoma State Cowboy would be proud to sport around campus. Cut the design small for a change purse, or make it larger for a full-size clutch. 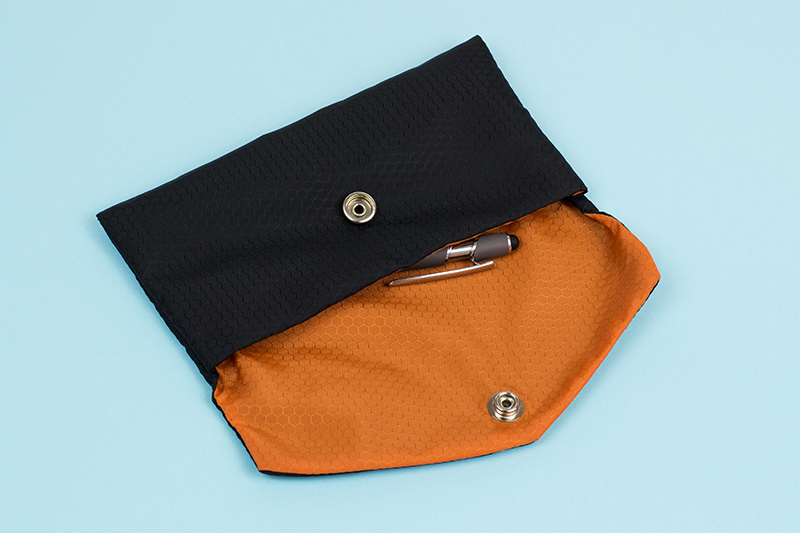 Zippered pouches make great travel organizers, and the diagonal design shown here adds even more interest. 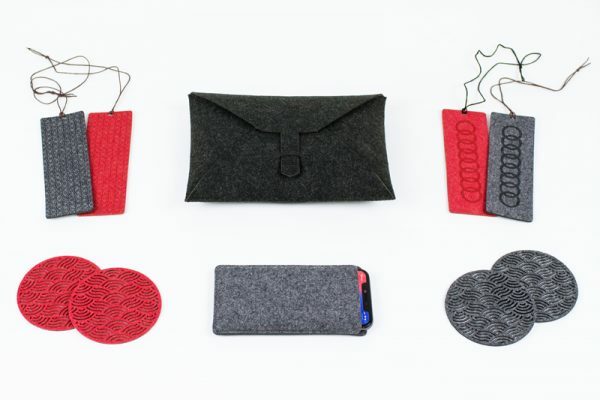 Create a gift set that includes a variety of sizes to maximize profit potential. 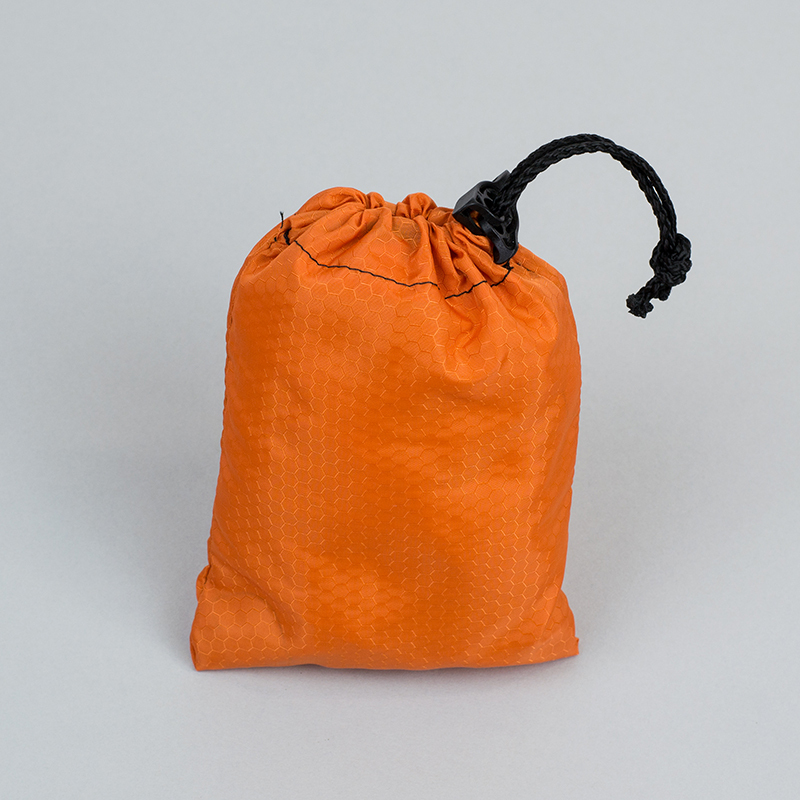 Whether used as a pencil case for school-age kids or a pouch to hold reading glasses for the over-40 set, this kind of drawstring bag has much utilitarian value—and thus sales potential. Speaking of useful drawstring bags, this kind of design (made large enough) would make a great laundry bag for college-bound students. Or keep it small and use it as functional packaging for jewelry. While all the bags above were sewn up, you certainly don’t have to be a master tailor to do this—unless you’re planning on selling your designs on Etsy (or elsewhere). Then you’ll want to buff up on the sewing skills to make it look professional. 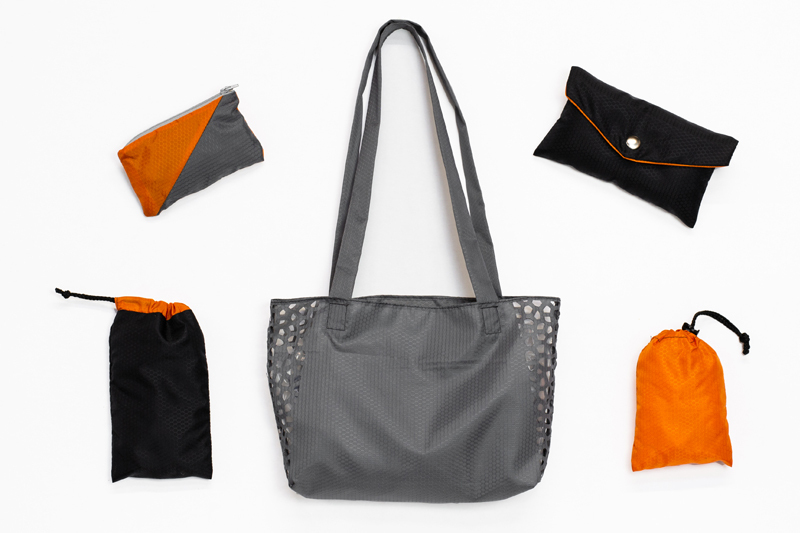 But if sewing bags is your maker’s calling, why use laser cutting? Sure, you could simply buy ripstop nylon, cut it up by hand and then sew it into the desired form. However, the benefit of using laser cutting is the pristine edges for all of the parts, which leads to cleaner, more professional seams. And if you’re making quantity to sell, it’s faster and a better use of time to have the lasers cut the parts—freeing you up to work on other aspects of your biz. With high strength and durability, ripstop nylon is a great choice for functional designs. 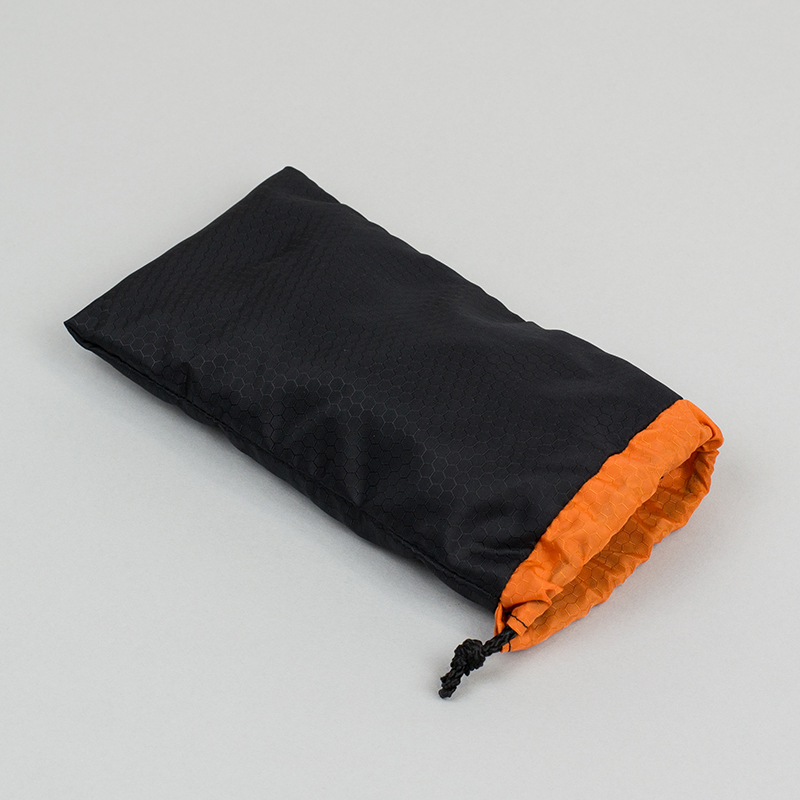 It is breathable and has a durable water repellant (DWR) coating on both sides. 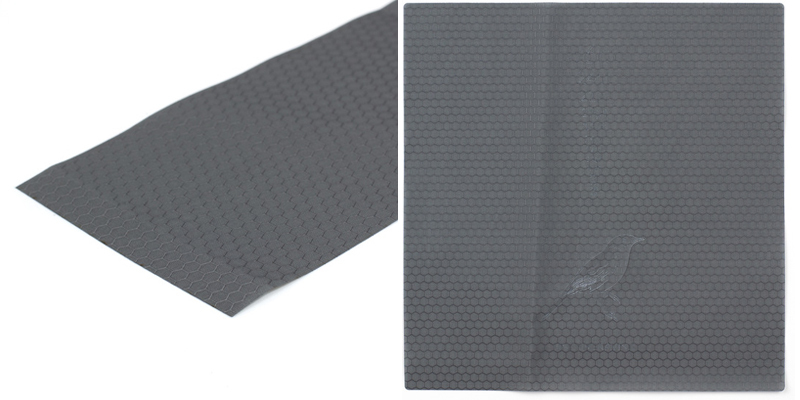 The visible hexagonal patterned reinforcing technique makes this matte woven nylon fabric resistant to tearing and ripping. Since the laser melts and fuses the edges for a crisp finish that resists fraying, cut details remain strong. This makes ripstop nylon especially suited for bags, banners, bunting, lightweight clothing or any application where durable yet relatively lightweight fabric is needed. Additionally, ripstop nylon is not cut with protective paper, so some flashing may be visible along the laser-cut edge and at the back of the fabric. Finally, the hexagonal grid pattern is apparent on this material, which may not be perfectly straight when placed in the machine, so you’ll want to design accordingly. If you think this black ripstop nylon is beautiful, get all the details here and pick up a sample here. 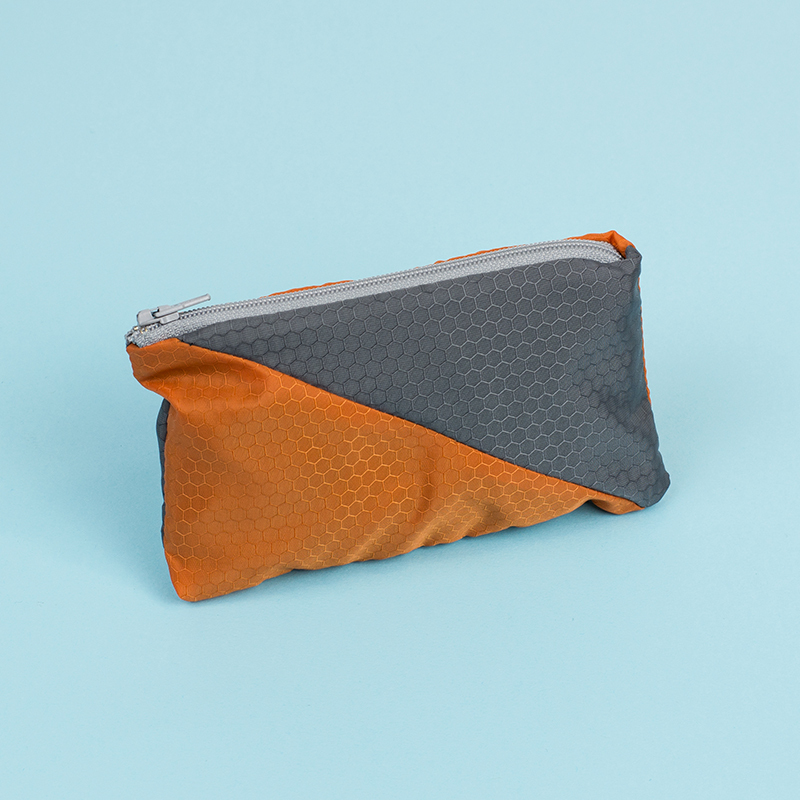 Orange you crazy about orange ripstop nylon? Find out how this material is anything but ordinary here and order a sample here to see the awesomeness for yourself. 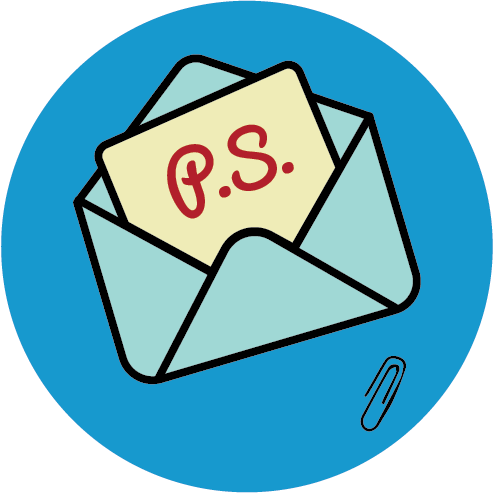 If grey is great in your world, get all the details here and grab a sample here. With ripstop nylon added to the USA materials lineup, what will you make? Will you try your hand at holiday decorations or bags like we did, or will you branch out into something else? Jump into Adobe Illustrator or Inkscape and turn your inspiration into to tangible ideas.